Australian enterprise software maker Atlassian has filed to go public today and list its stock on NASDAQ under the ticker ‘TEAM’. 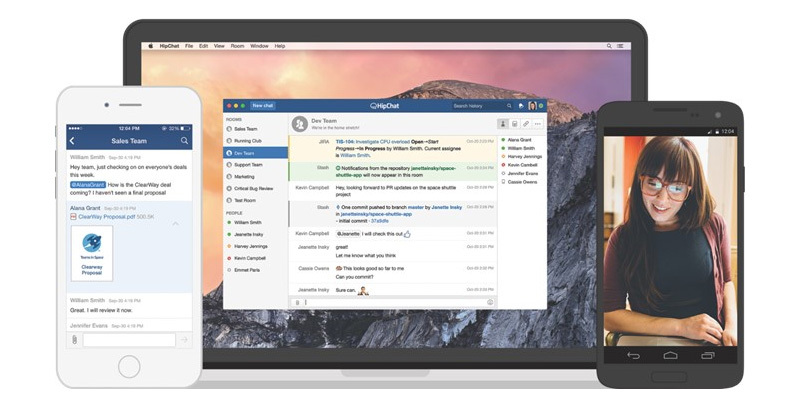 The company, which acquired collaboration tool HipChat in 2012 and distributed version control system Bitbucket in 2010, filed a registration statement with the U.S. Securities and Exchange Commission (SEC). The number of shares to be made available and the price range for the proposed offering have not been determined. Atlassian says it has more than 5 million monthly active users spread across its range of products, and counts NASA, Twitter and Tesla among its customers. In its filing, the company notes total revenues of $319.5 million for the fiscal year ended June 2015, up from $148.5 million two years previous. That represents a compound annual growth rate of 46.7 percent over the period. The company notes that the market for its collaboration software is fragmented, highly competitive and has a low barrier to entry. Among its rivals are Microsoft, Google, Salesforce and Zendesk. Atlassian is also concerned that its larger existing and potential customers may opt to build their own tools. Besides the apps it acquired, two of its other offerings bring in two-thirds of its revenue: Jira, a project management tool, and Confluence which allows teams to collaborate on content creation tasks. It recently updated its HipChat collaboration app — which rivals industry darling Slack —with the ability to embed apps like New Relic for monitoring software and customer service dashboard ZenDesk into group chat channels.